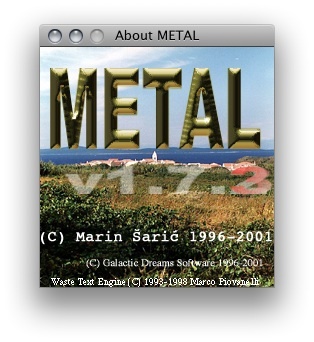 It appears "Metal Basic" has been abandoned. 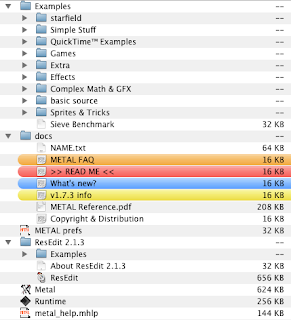 My path had lead me to create a few programs, back in 2002 and 2003 ; when Apple was transitioning most of his users from OS 9 to the shiny OS X. What was great about Metal Basic ? 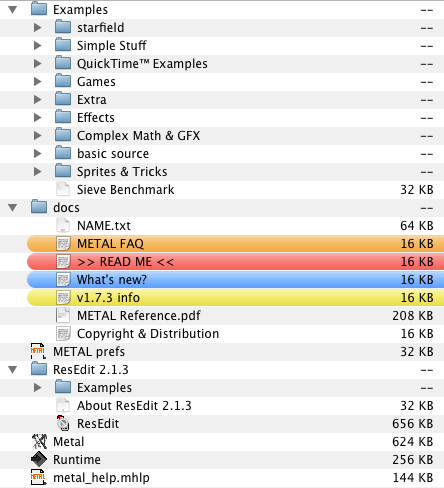 it is very light (less than 10MB when uncompressed and with all the documentation and source code examples) and worked on both environments : OS X native (no need to have OS 9 installed) requiring less than 64MB of RAM - and you could create some standalone program. Meanwhile the closest development language available at the time was codewarrior - so for little tasks and programs ... Metal Basic was free and did the job pretty well!